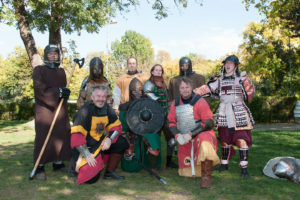 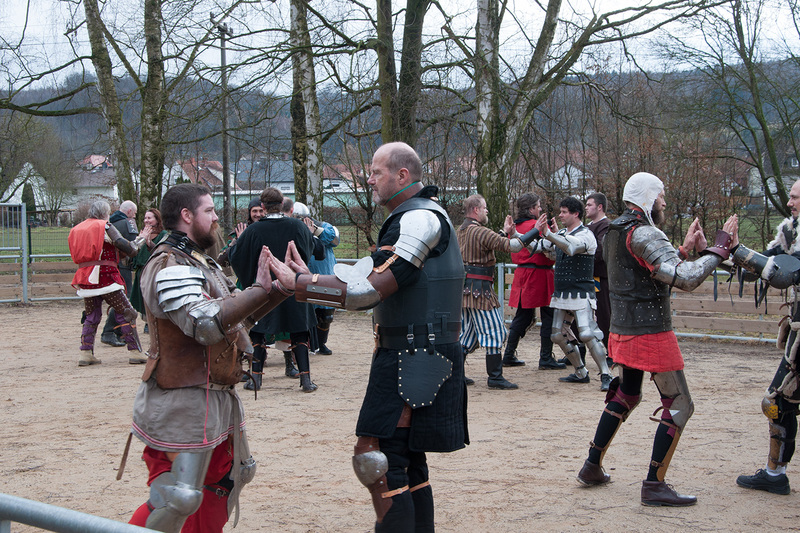 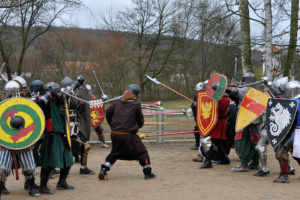 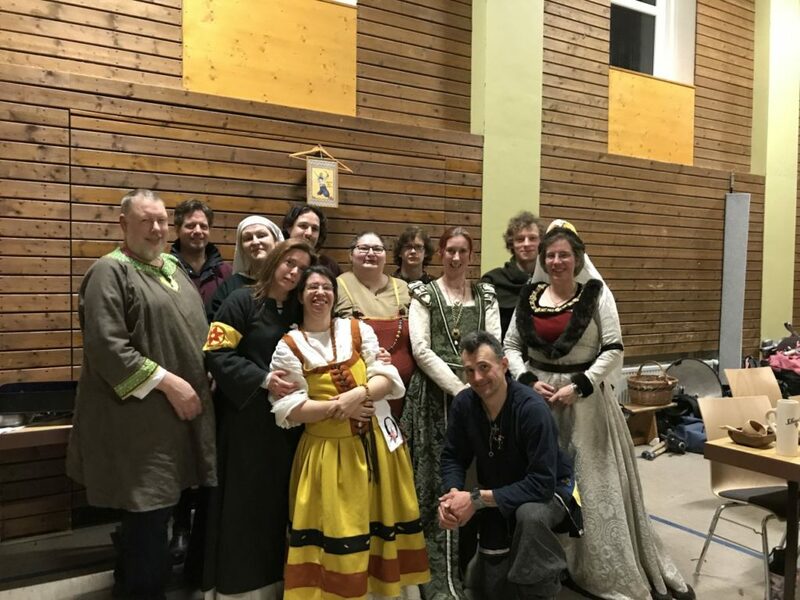 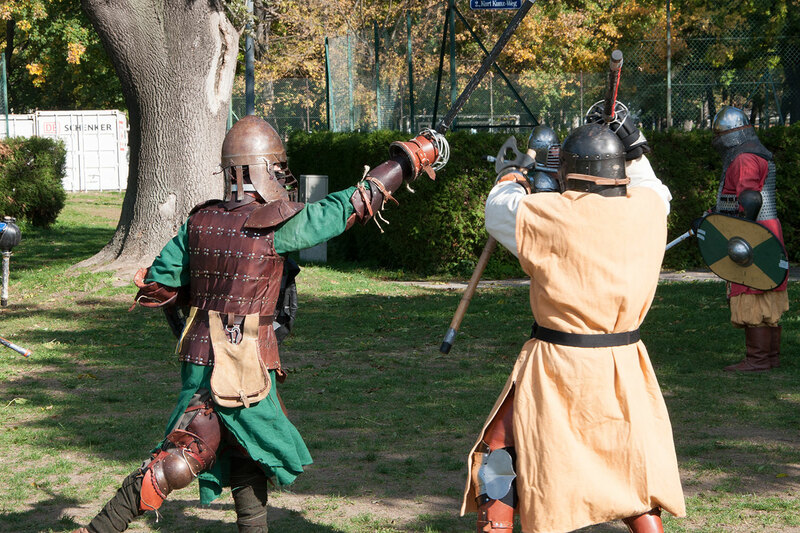 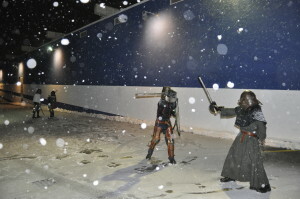 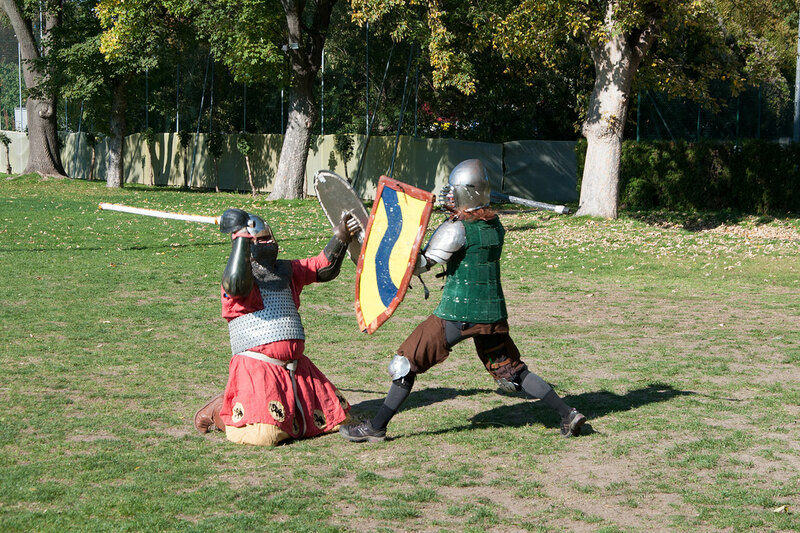 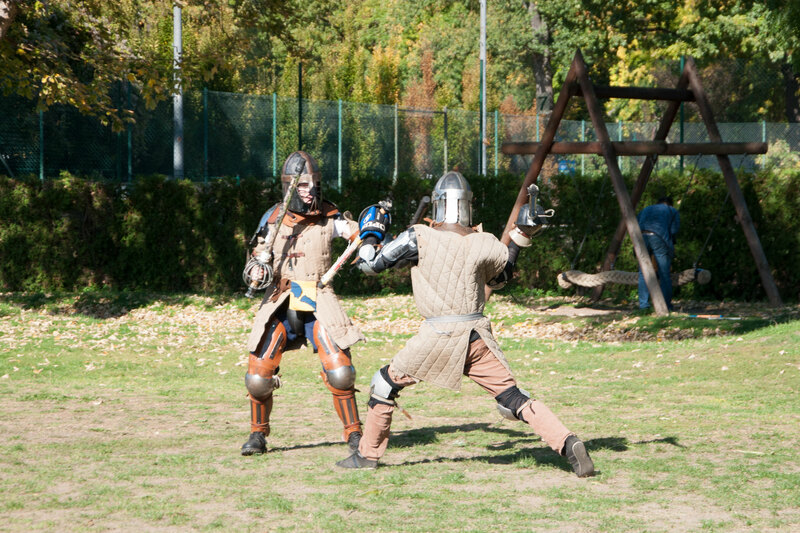 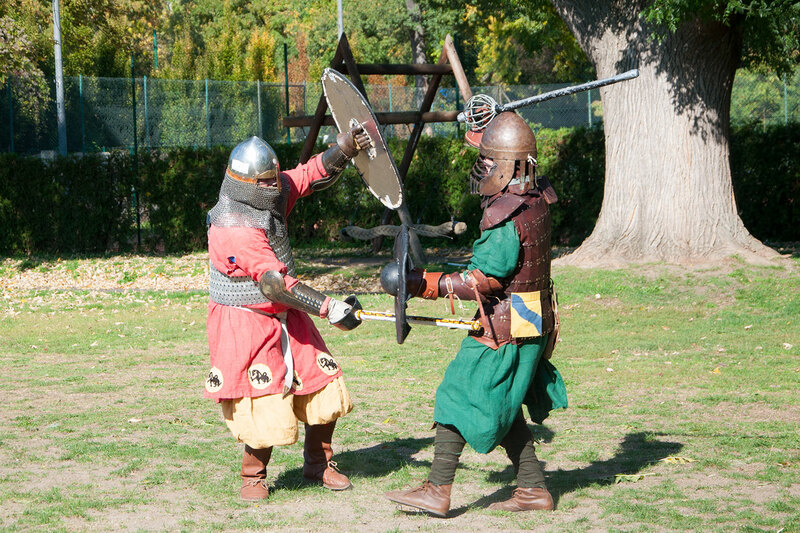 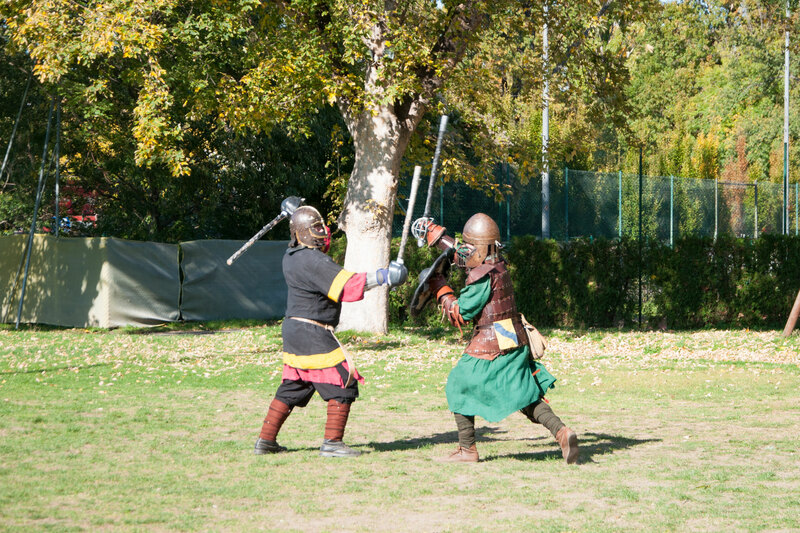 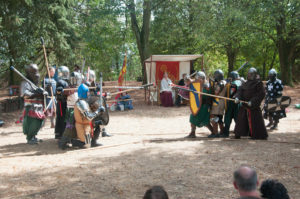 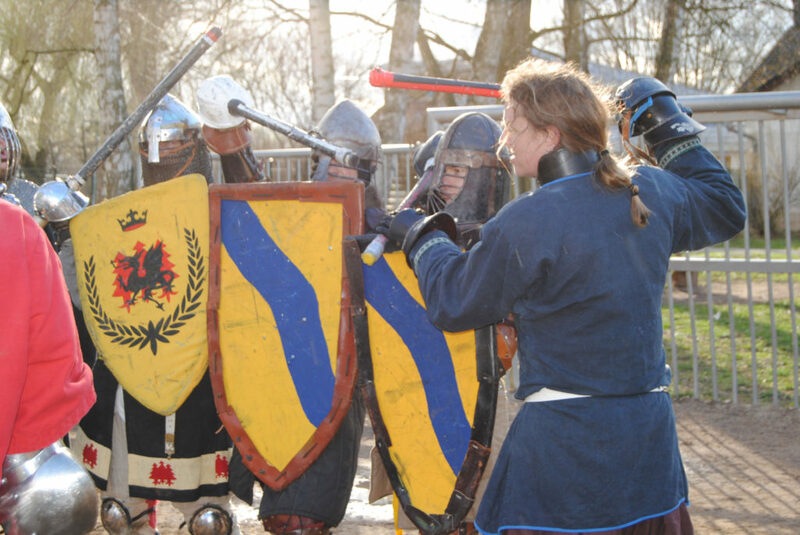 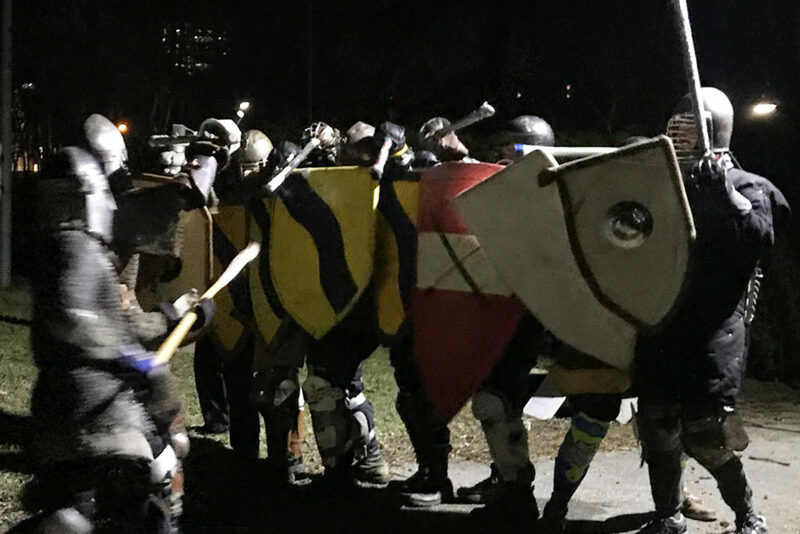 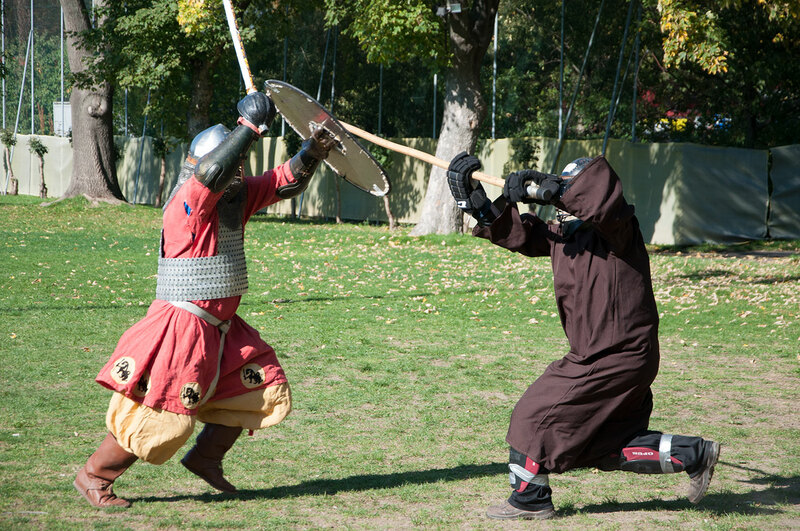 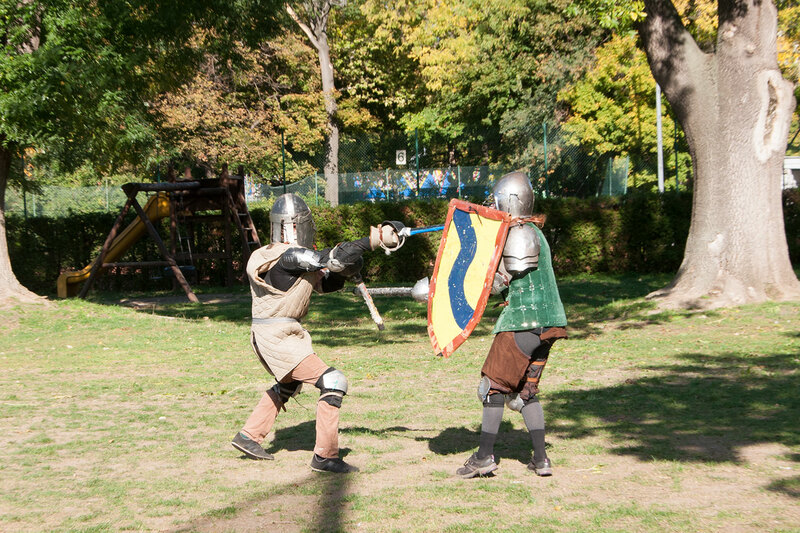 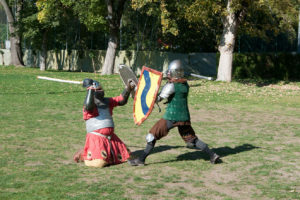 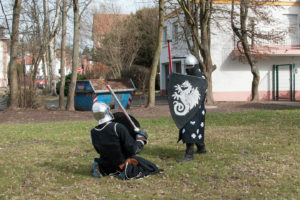 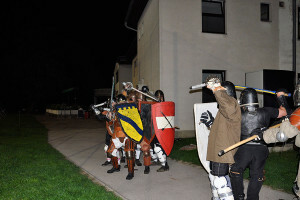 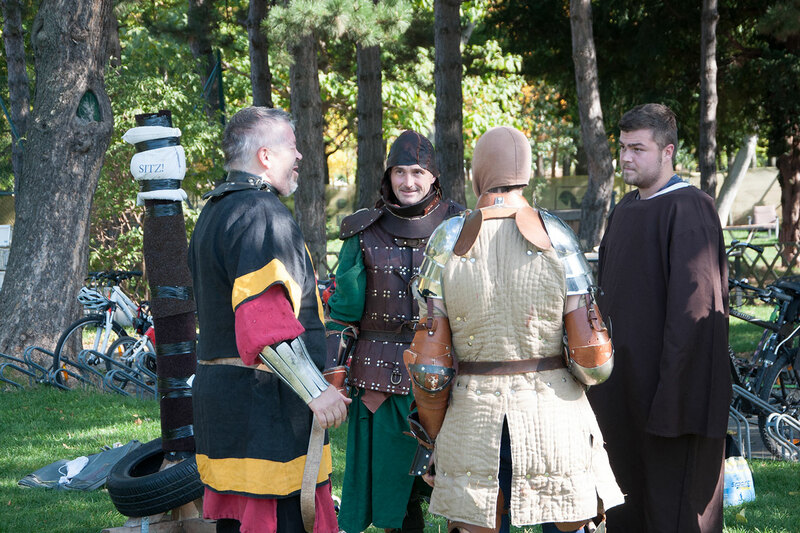 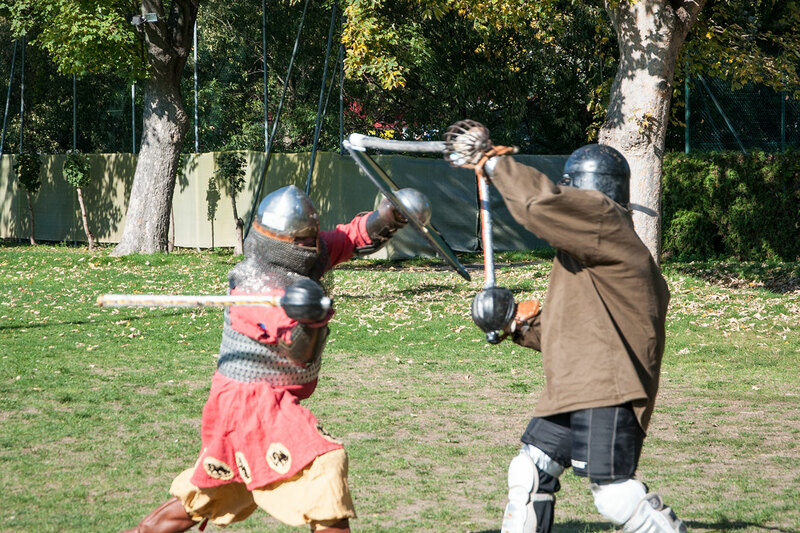 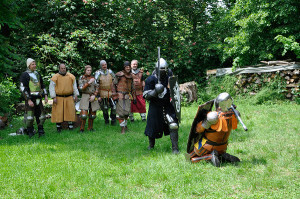 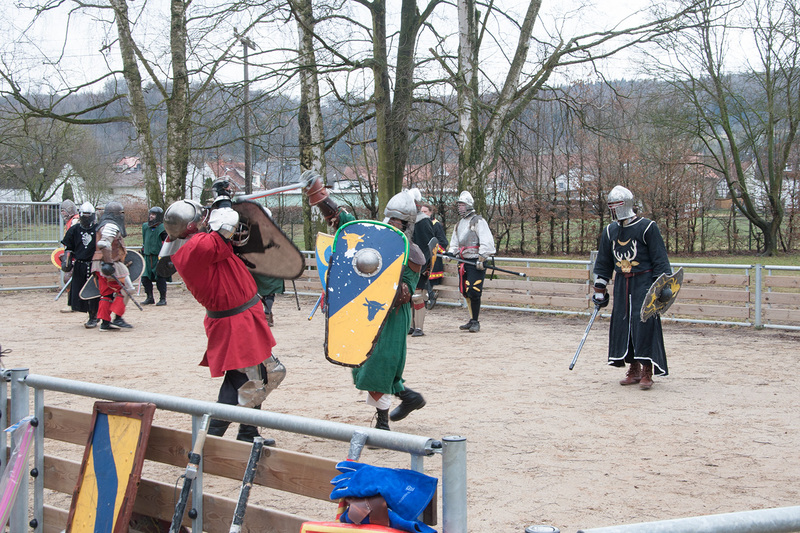 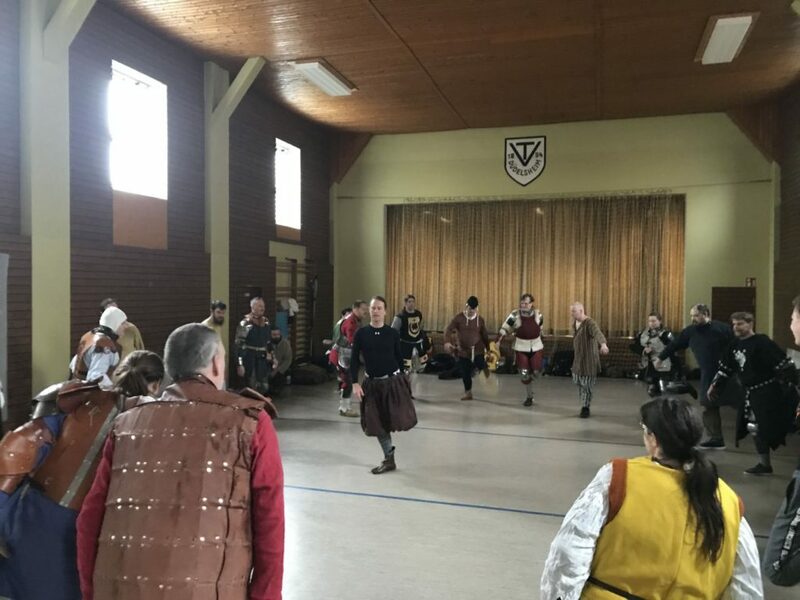 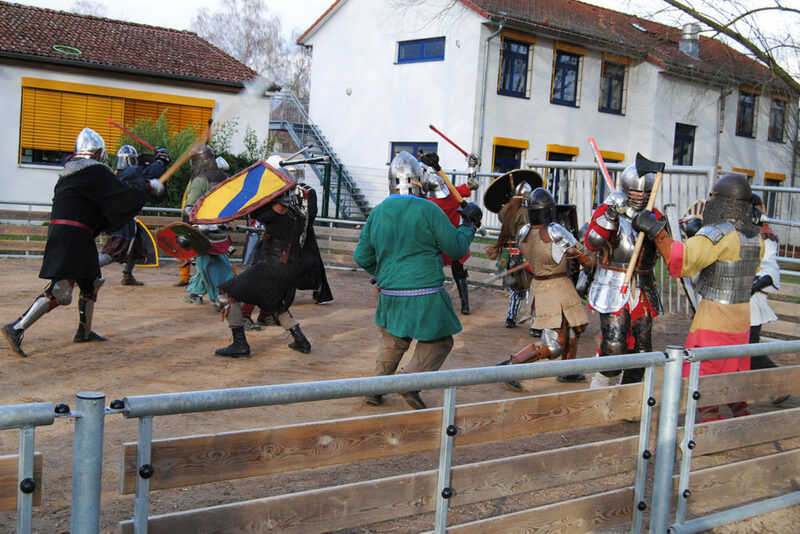 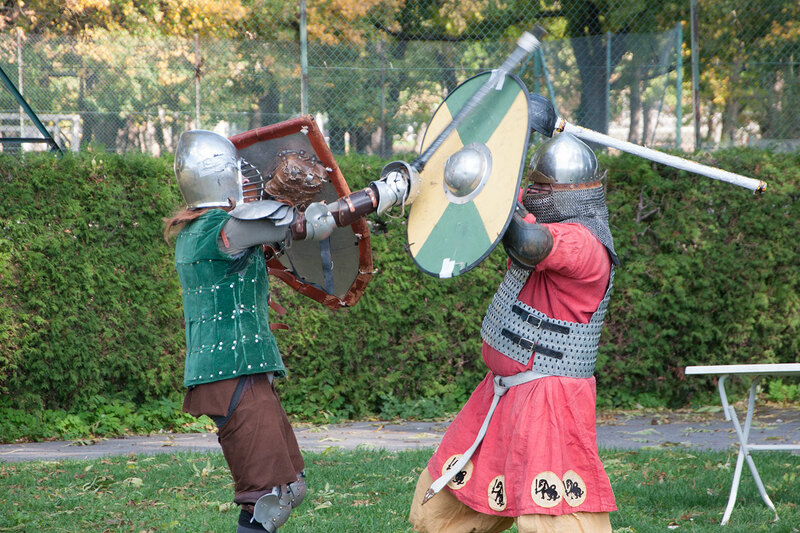 We proudly announce, that Duke Prothall and Duchess Cecilia come to visit the Shire Ad Flumen Caerulum and give us the honor of an extroordinary heavy fighters practise. 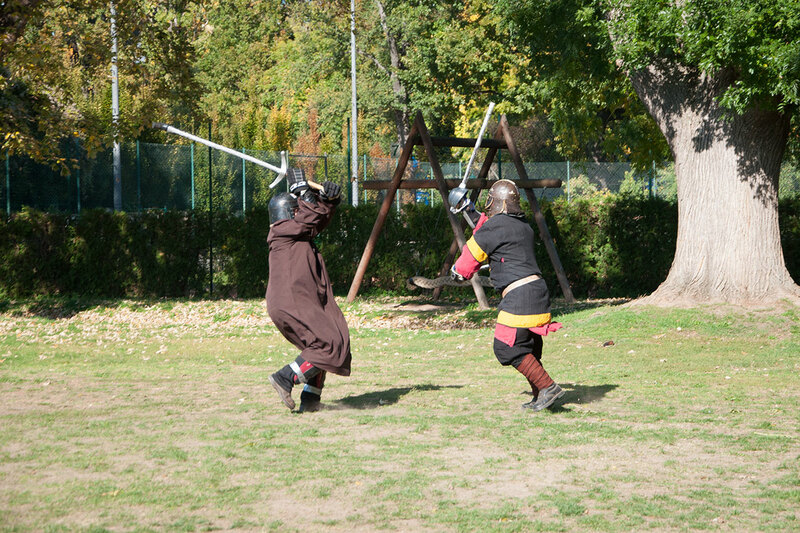 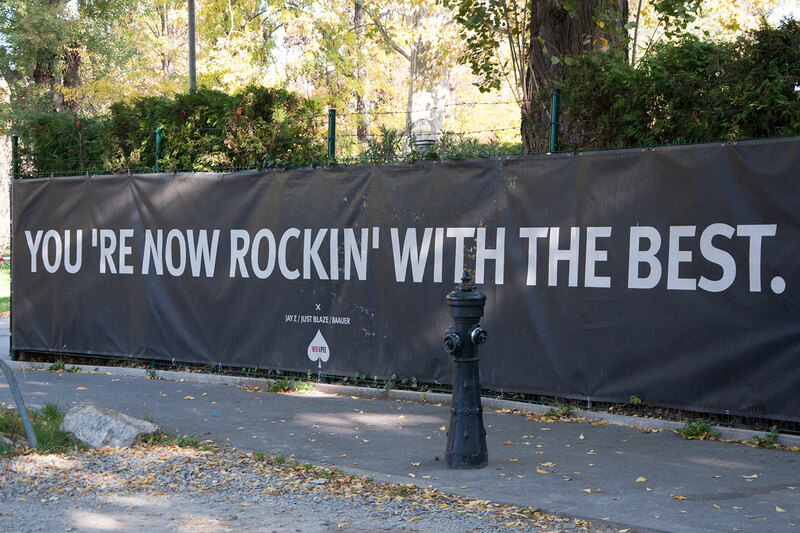 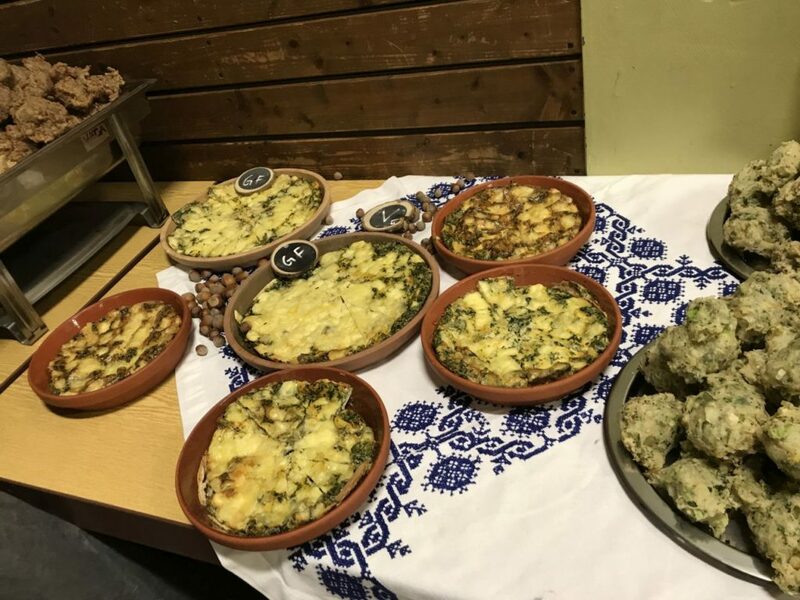 Satureday, 14th of October (will be declared Wednesday) 11 a.m. at our usual training space at HTC Site. 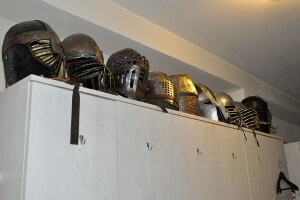 Afterwards we will take our friends on a tour through the Inner City of Vienna. 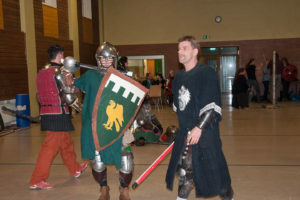 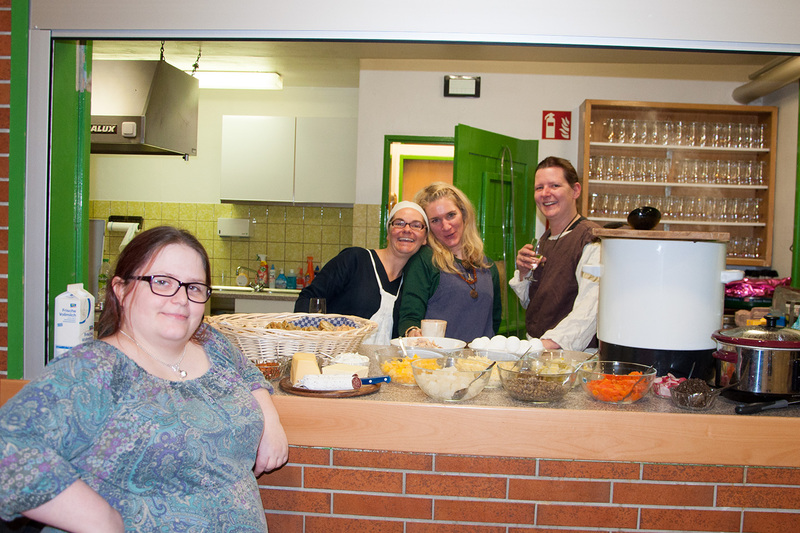 Join us and have fun! 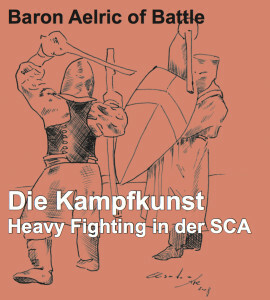 An dieser Stelle einen großen Dank an Aelric of Battle für seine umfassende Schrift zum Schwertkampf in der SCA. 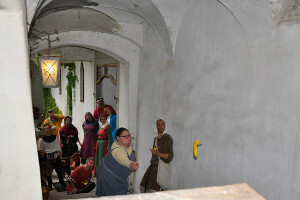 Wir stellen diese hier als Sondernummer des “Frankmarkt Express” der interessierten Leserschaft zur Verfügung. 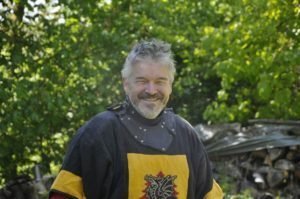 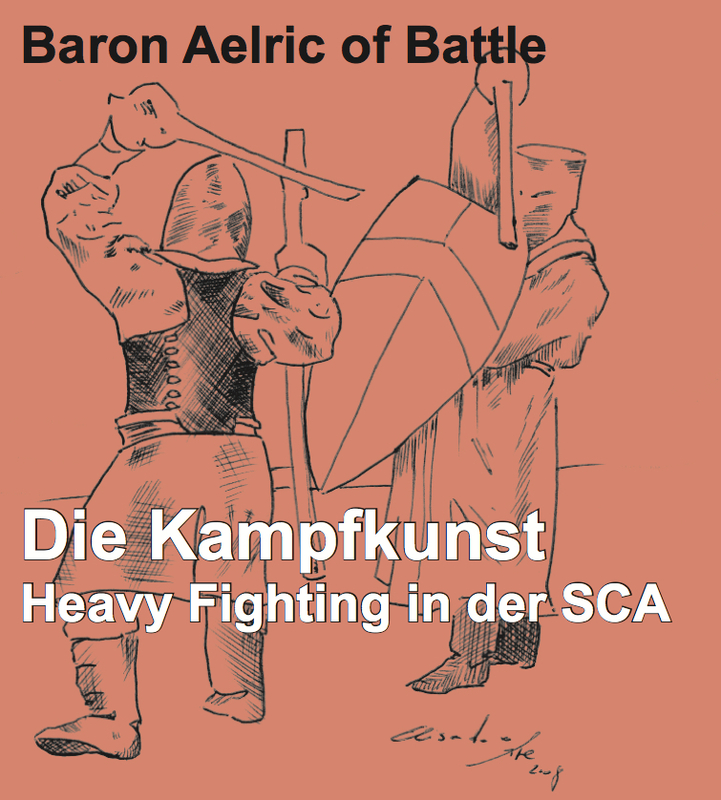 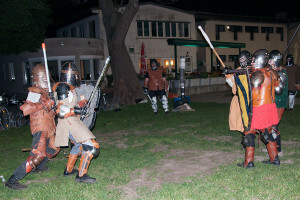 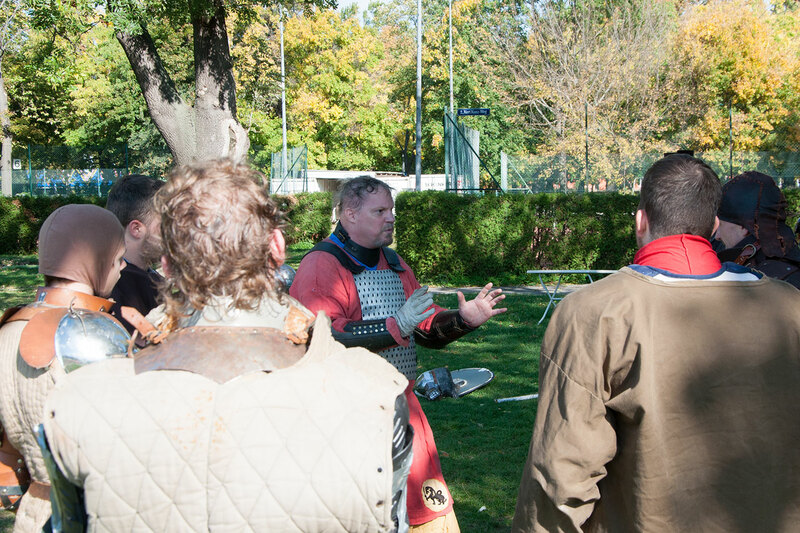 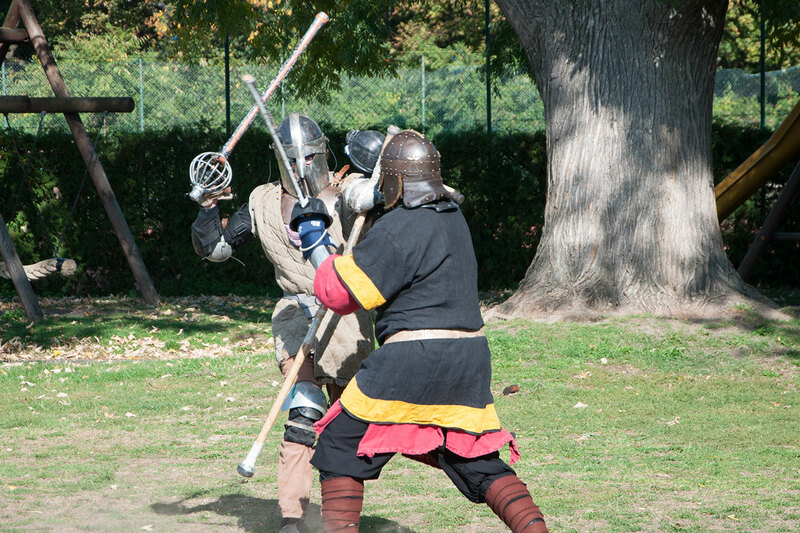 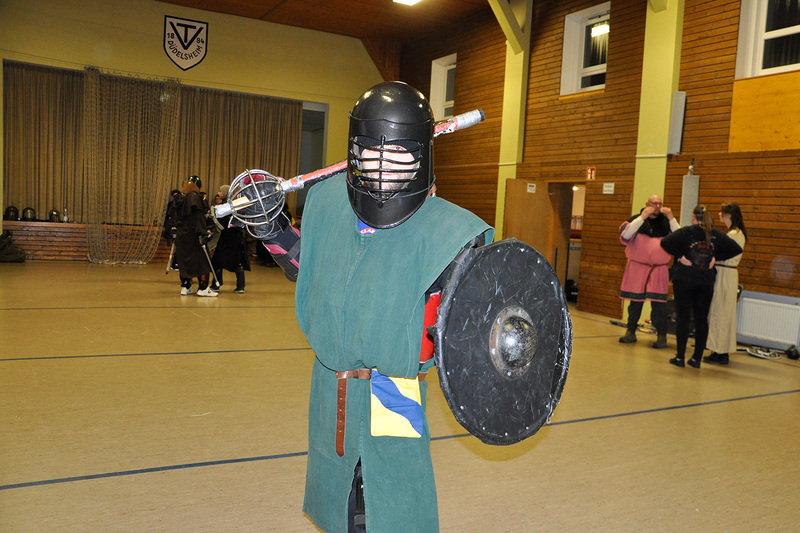 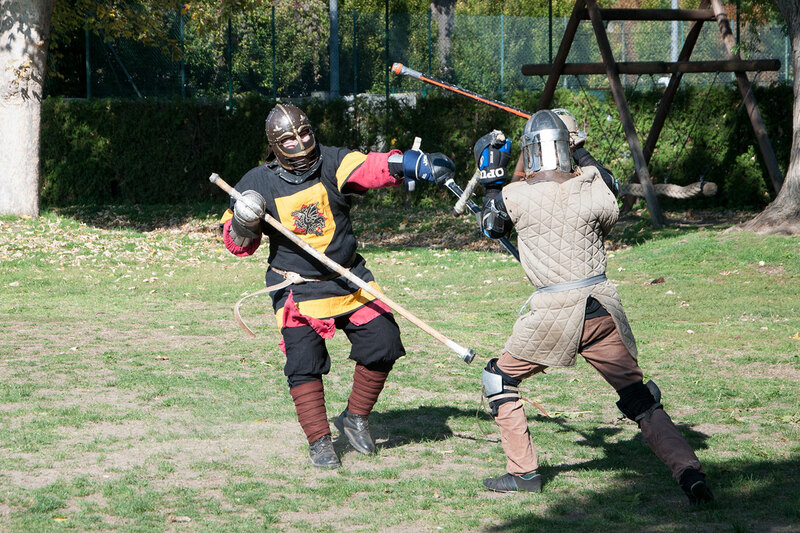 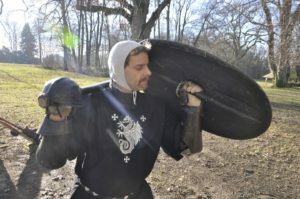 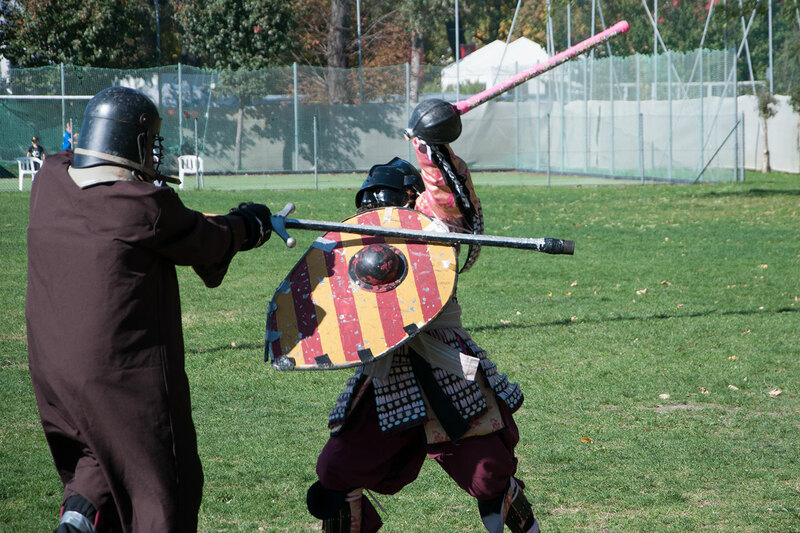 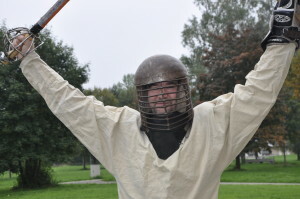 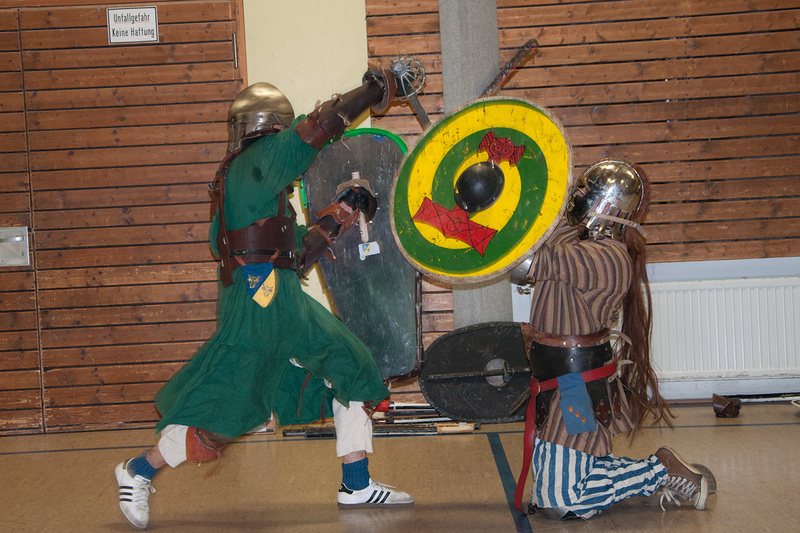 Thanks to Lord Aelric of Battle for his compendium about the art of heavy fighting in the SCA (german only).